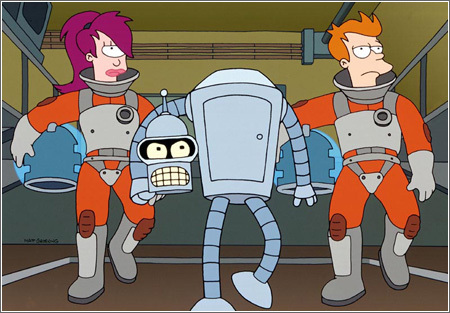 Planet Express is hired to scoop a slab of ice from Halley's Comet and drop it in the ocean to combat global warming. But when they find the comet all out of ice, the inventor of the environment, Al Gore, holds a Global Warming convention. There Professor Farnsworth reluctantly admits the process was sped up by the pollution emissions of all robots. This leads President Nixon's head to invite all of Earth's robots to the Galapagos Islands for a big party (during which they will be destroyed).